Despite the recent Deployment Ban in Kuwait of the Overseas Filipino Workers (OFWs) that was issued by the President of the Philippines Rodrigo Roa Duterte, the Filipino mass shouldn’t worry about the rest of the OFWs left in Kuwait since Department of Foreign Affairs Secretary Alan Peter Cayetano confirmed it. "The Kuwaiti is looking at them like family members. 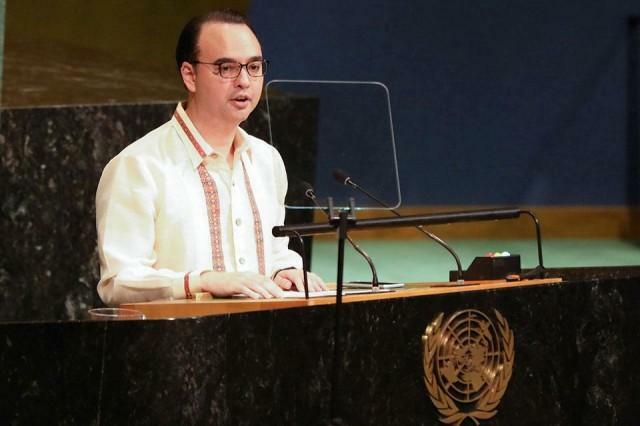 So whether or not there is ban, whether or not there's a rocky diplomatic relationship, hindi po napapahamak iyong 96 percent," Cayetano stated. The mass hysteria on the wellbeing of the OFWs of Kuwait is due to the recent discovery of large number of cases of abused and maltreated Filipino domestic helpers in the Gulf state. One of which reached a point where the employers of Joanna Demafelis had her stored body in a freezer for more than a year ever since she went missing. On another note, the diplomatic row between Kuwait and the Philippines started when the Philippine Embassy held and documented their undercover rescue operation of a distressed OFW which went viral after being posted online. This documentation apparently violated the sovereignty of the Embassy that the Philippine government apologized for. Cayetano then stated that unless all OFWs of Kuwait are protected through an agreement that Kuwaiti officials signed, Duterte will never lift the ban. "Ang sabi ng Pangulo habang hindi protected ang 100 percent na Pilipino, hanggang walang agreement at implementing mechanism na protektado lahat ng Pilipino, ayaw niyang i-lift iyong ban at pirmahan iyong agreement," the Foreign Affairs Secretary stated.